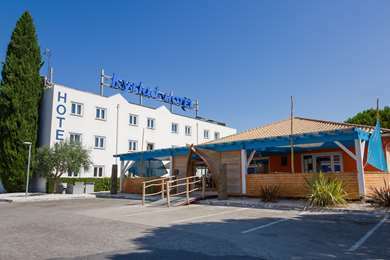 Easily accessible from highway A9, Hotel Première Classe Sète - Balaruc is ideally located under 5 miles from Sète and 30 minutes from Montpellier Airport. The seaside Town of Sète is nicknamed Little Venice and it has very particular features. Visitors are surprised by its quality wines such as Picpoul de Pinet, and its culinary traditions: rouille, macaronade, tielle. 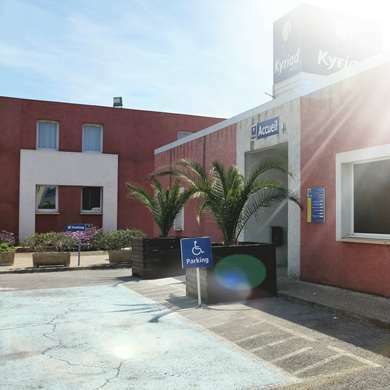 From Hotel Première Classe de Balaruc, you will have easy access to the various tourist sites: the Balaruc-les-Bains thermal spa and fitness center, Frontignan with its soft and natural Muscatelle, and Bouzigues, oyster capital. This is an ideal starting point to go out and enjoy over 7 miles of fine sandy beaches that separate the sea from the Thau Pond. Our hotel also is conveniently located to visit the Mount Saint-Clair panoramic site, The Marien Cemetery where Paul Valery is buried, and the Georges Brassens space, which is an animated place where you will be guided through the life and works of the artist. Come discover the first Fort of the Mediterranean and attend the Nautical Jousting Games, that reflect the soul of the people of Sète. The hotel has a magnificent terrace and a shady garden that is just 20 minutes from a shopping mall, where you will also find numerous restaurants. 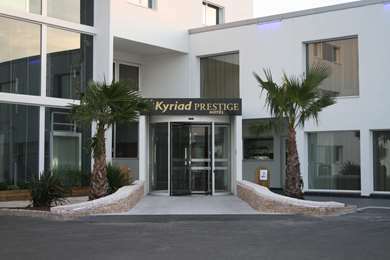 Not far from Sète, in a tree lined area that is restful and shady, come relax in our comfortable rooms with all the amenities. Chose this hotel based on other people's reviews - maybe we were just unlucky... Resembles Formule 1, but very noisy and not sound proof when people return to the hotel on the middle of night and decide to have the last drink in the outdoor breakfast area and the trash is collected at 4 am by noisy trucks. It seems like the hotel is made of metal, and when people slam / close the doors, the noise is rather incredible. Further, when getting to the petit dejeuner real tired, the receptionist spends a quarter explaining some route to a pair of ladies instead of taking care that there are baguettes, when she promised to do so prior to the ladies popping up :) don't go to that hotel - waste of euros!